Earlier this week, President Trump grabbed headlines for calling the Mueller investigation "the greatest witch hunt in American history," as well as for reimbursing Michael Cohen for a $130,000 payment to Stormy Daniels. Meanwhile his administration quietly let expire a popular organic food policy. ⏩ The Organic Livestock and Poultry Practices (OLPP) rule, which was over ten years in the making, aimed to tighten USDA organic standards and close loopholes that organic activists claim can easily be exploited by industrial producers. ⏩ The OLPP enjoyed the support of organic farmers and advocates alike (of the 72,000 comments submitted during an open commentary period, 56,000 supported it. Only 50 comments were against these further regulations). Citing a pattern whereby the president's controversial tweets and personal scandals draw attention away from unpopular policy enactments, a Brooklyn-based group DCX Growth Accelerator launched an ice cream truck, designed to shine the spotlight back upon the Trump administration's meddling with USDA organic food rules. 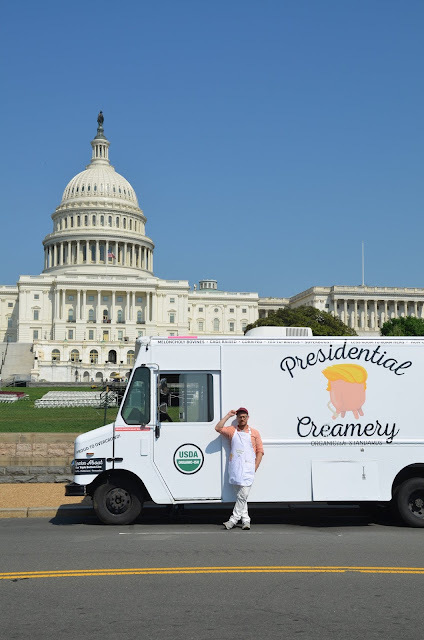 DCX painted the name Presidential Creamery on the side of the truck, along with a jovial mascot: a cow udder with a Trump-style toupee waving an ice cream cone. 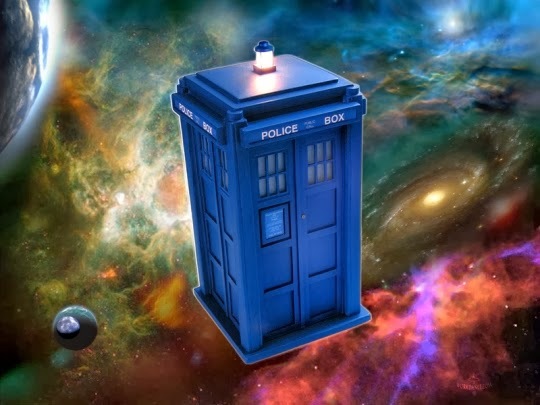 The group drove it to Washington, DC where it drew long lines of consumers, and in recent days have been driving it through the streets of Manhattan, speaking with television news networks. The ice cream truck's menu boards are similar in style to those of a quaint organic creamery, but instead of organic products, they list "cage-raised vanilla" milkshakes, "3 chicken per square foot" egg creams, and a sandwich named "the Sonny Perdue Beakless Chicken Po-boy." The product names refer to the animal welfare protections in the OLPP that were rolled back this week by new Trump-appointed USDA head, Sonny Perdue. ⏩ The menus describe these foods as "organic-ish" and give them the satirical stamp of a new "certified USDA Organic-ish" logo. DCX is known for using creativity to give momentum to social issues. In the past the group has sent students to school wearing bulletproof vests to push for sensible gun control regulation, and has held an Artisanal Landlord Price Hike Sale on behalf of a deli facing an exorbitant rent increase, in order to out gentrification in the national media spotlight.